As the seasons change, so does your need for temperature control in the household. Winter can be harsh in Australia and the Summers are getting hotter every year, so the need for a heating and cooling unit is becoming a necessity in every home. All of Toshiba’s air conditioning systems have heating and cooling options, so that ideal comfort and temperature is just a button click away. 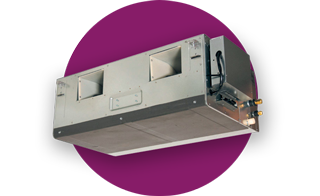 Heating and cooling units come in a variety of different shapes and sizes that will suit whatever kind of room you have. From single split systems to ducted air conditioners that are fed through the ventilation in your home, these options allow you to have complete climate control over your household. Contact a Toshiba dealer today to find out what is the best option for you.